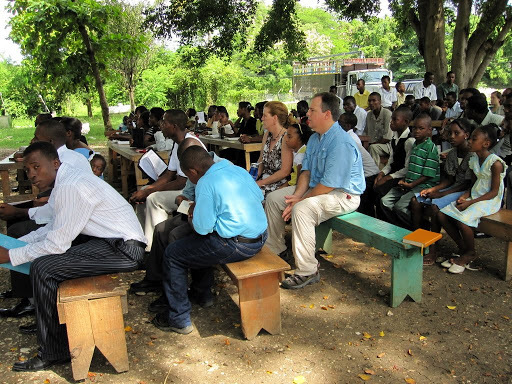 Church gatherings can take place in many different types of locations. 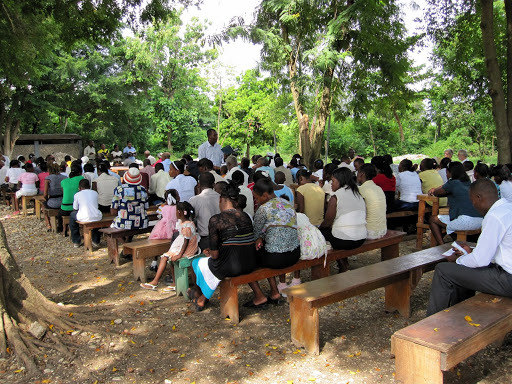 The service we attended this morning was under the cool shade of trees in Christianville. Over 150 people joined in singing and two sermons plus Communion. Can you imagine a two hour service like this in the States?